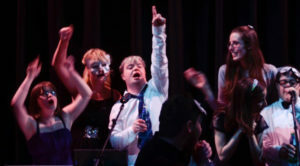 We love this short podcast from our partners at Gig Buddies Calderdale. Here what Gig Buddies Karen and Alicia have been up to and how their friendship has grown from shared interests to enabling each other to discover new things too. It’s not just people with learning disabilities who get something out of the project. It is very definitely the volunteers too. It’s also really exciting for us to hear how Gemma is making plans to develop the project in the Calderdale area, particularly Todmorden and Sowerby Bridge now that they’ve secured 2 years more funding. Just fantastic, thank you for sharing Gemma and team. We can’t wait to hear what happens next.